When it comes to postcards, the more the merrier, so here's an eclectic collection of 10 Pennsylvania postcards spanning the past 100 years or so. Enjoy! 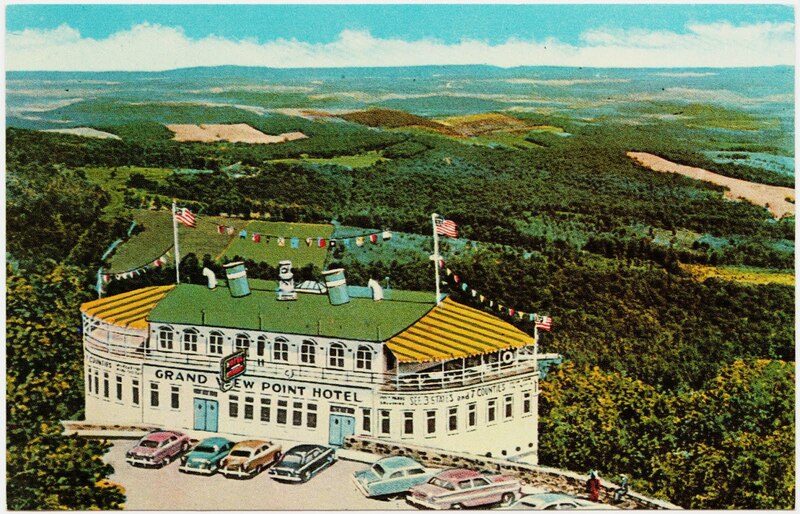 The Grand View Point Hotel, also known as the Ship of the Alleghenies, was an amazing mountainside hotel located along Route 30/Lincoln Highway in Bedford County. It was built in 1927 and burned down in 2001. The advertising copy for the hotel boasted that you could see three states and seven counties from its deck. There are a number of websites with more images and details about its history. Two good places to start are Grand View Ship Hotel Tribute Pages and The Old Motor. This postcard, which seems to be an odd combination of illustration and photograph, was distributed by H. Paulson, Grand-View Ship Hotel, Central City, Pa. 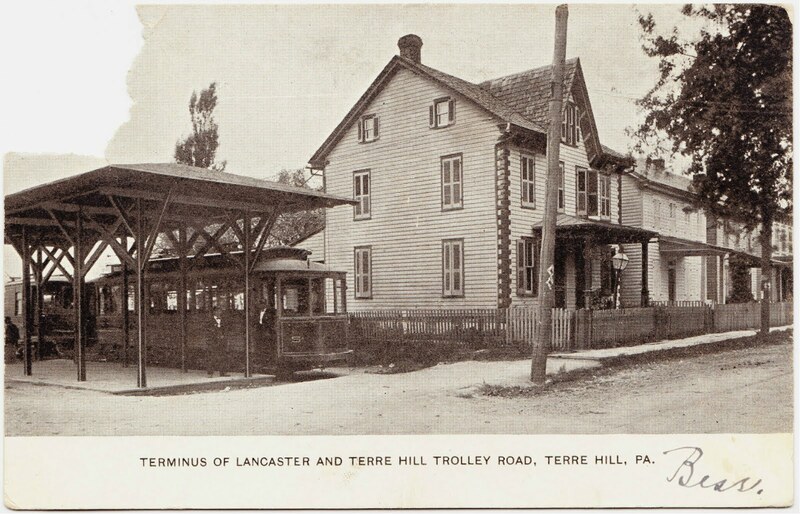 This postcard shows the terminus of Lancaster and Terre Hill Trolley Road in tiny Terre Hill, which is located in northeastern Lancaster County. According to Wikipedia: "Terre Hill was formerly known as Fairville, Pennsylvania. It was incorporated as a borough in 1907 after a successful court battle to separate from East Earl Township, Pennsylvania. ... The borough was once considered to be the hub of cigar-making in Lancaster County." 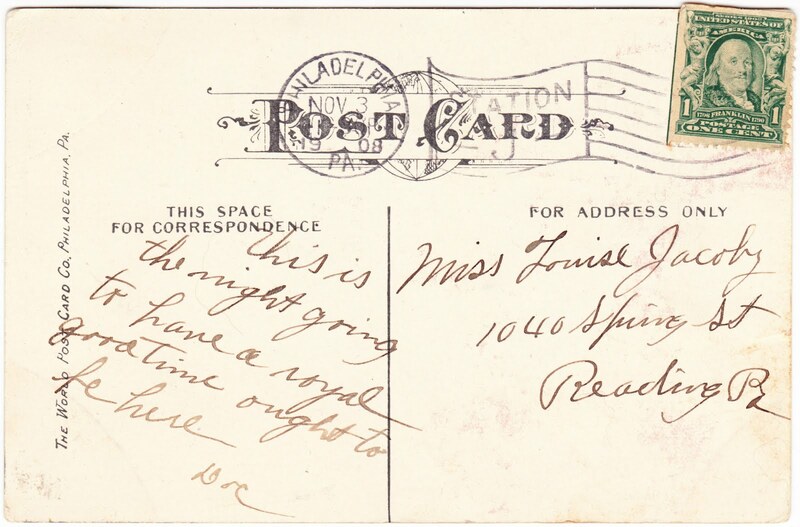 This postcard, which has had its stamp torn off, was postmarked at 5 a.m. on July 26, 1907, in Terre Hill. 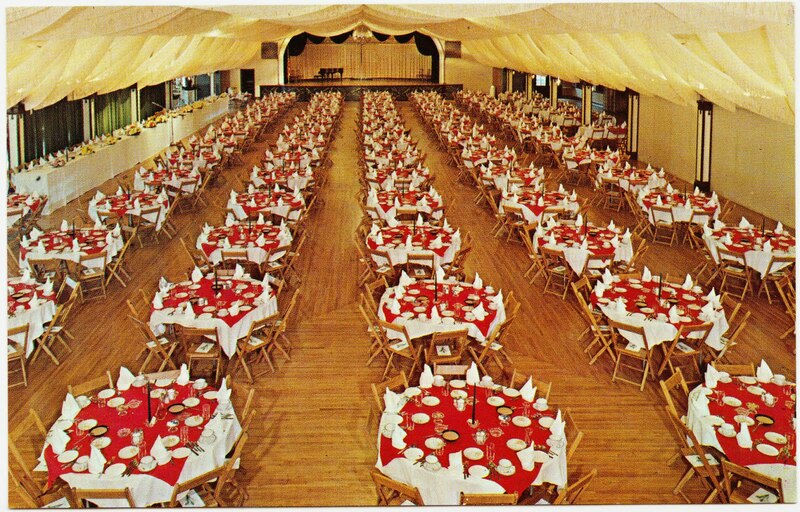 The Sunnybrook Ballroom is famous enough that you can get one of those Images of America books detailing its photographic history. 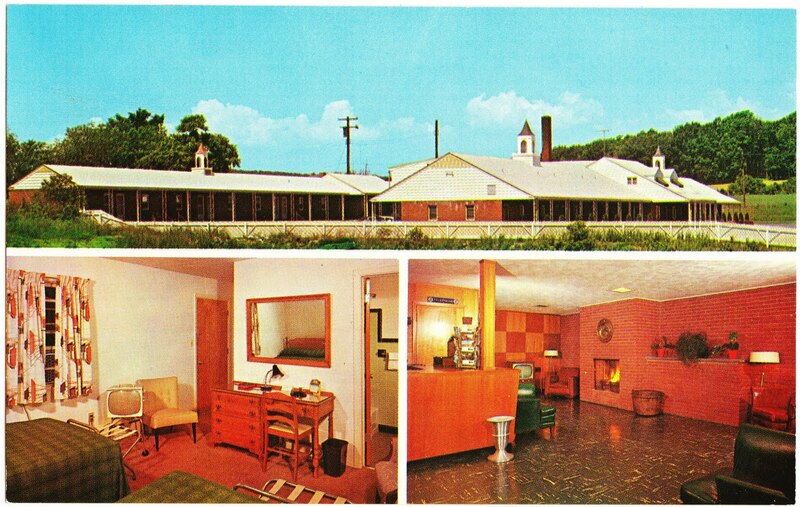 This postcard is a Vic-Mar Color Card, with the company being located at 416 Enfield Road in Oreland, Pennsylvania. Does this make some of you feel old? 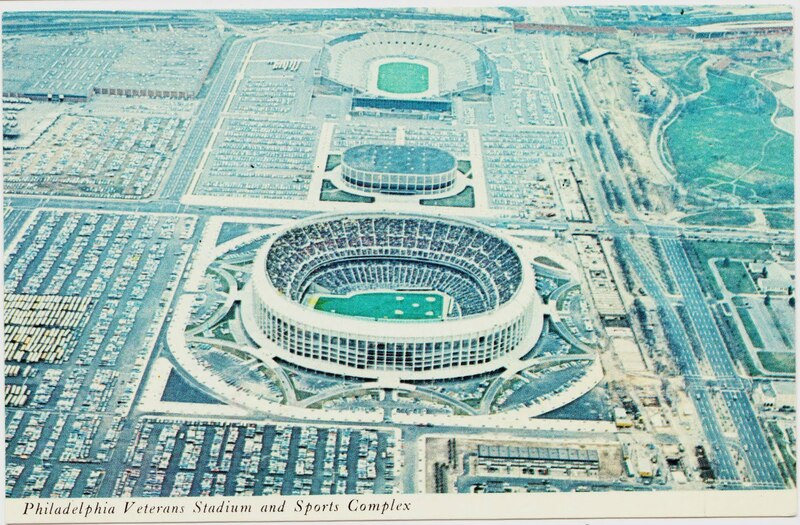 Pictured, from the top down are John F. Kennedy Stadium, the Spectrum and Veterans Stadium — all vanished now from South Philadelphia. So many memories from those places! 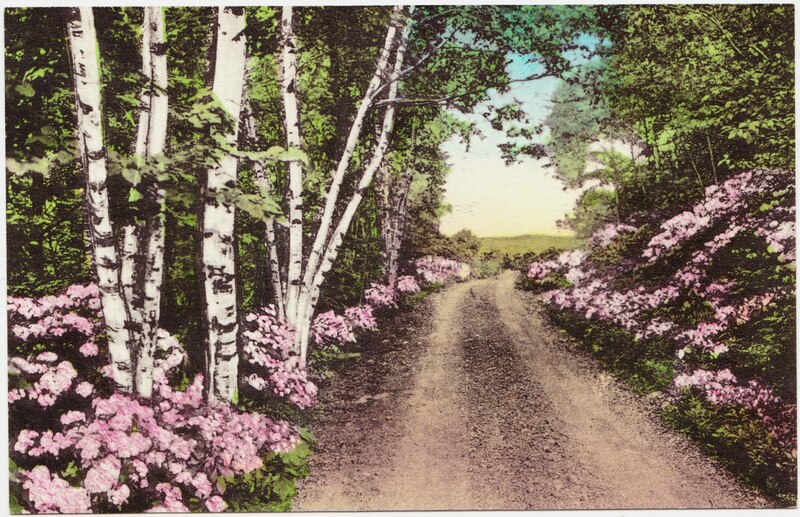 This postcard (which is unused) was published and distributed by Wyco Colour Productions of Ambler, Pennsylvania. 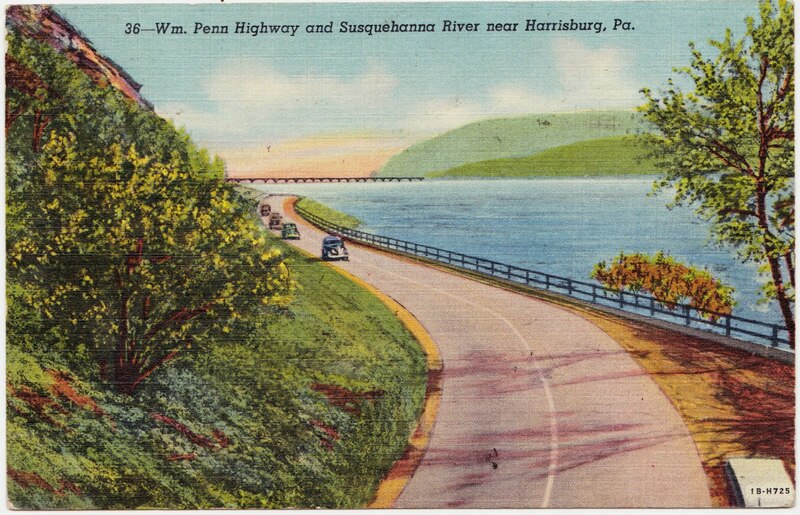 This linen postcard shows the William Penn Highway and Susquehanna River near Harrisburg. It is listed as a Genuine "C.T. Art-Colortone" postcard and was distributed by J.B. Hoffman & Son of Harrisburg. Hi, Having a real nice time. We're hear at the Rodeo, it's so big here. The Guv Leader of Pa. is also to have a speech. See you all soon. Mary Eliz. The "Rodeo" referred to would have been part of the Pennsylvania Farm Show. 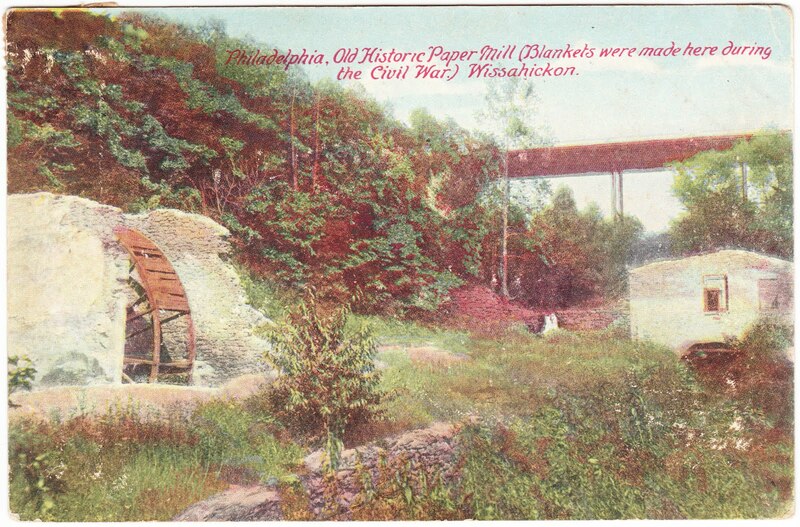 The full text on the front of this vintage postcard states: "Philadelphia, Old Historic Paper Mill (Blankets were made here during the Civil War.) Wissahickon." The back of this postcard is cool enough to show in its entirety. "This is the night going to have a royal good time ought to be here. Doc"
Here's a lovely scene from along Laurel Trail at Buck Hill Falls in northeastern Pennsylvania. The Finest American Made View Post Cards — The Albertype Co., Brooklyn, N.Y. The undated EtchTone postcard published by F.W. 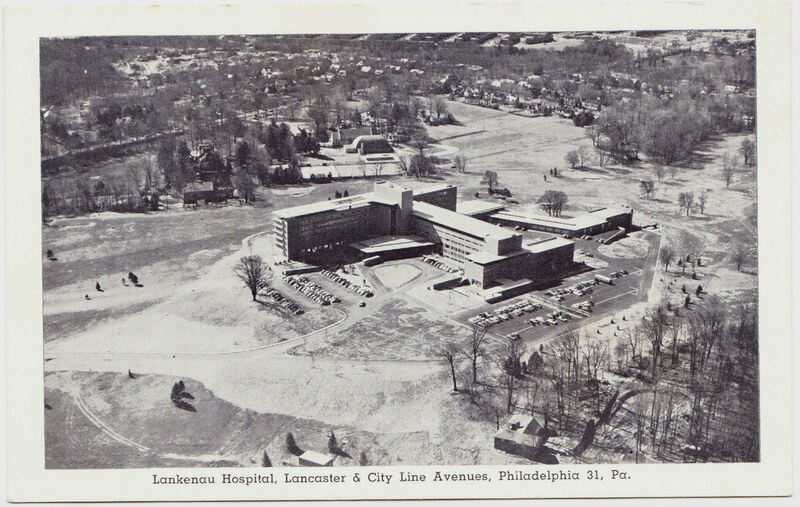 Rochelle of Philadephia shows Lankenau Medical Center at its current Wynnewood location. The hospital opened at this site in 1953, and this aerial view might not have been taken very long after that. The hospital was originally founded in the mid-1800s as the "German Hospital of Philadelphia." In 1917, many German institutions took new names with the United States' entry into World War I, and the hospital was renamed for John D. Lankenau, a German-born Philadelphia businessman. 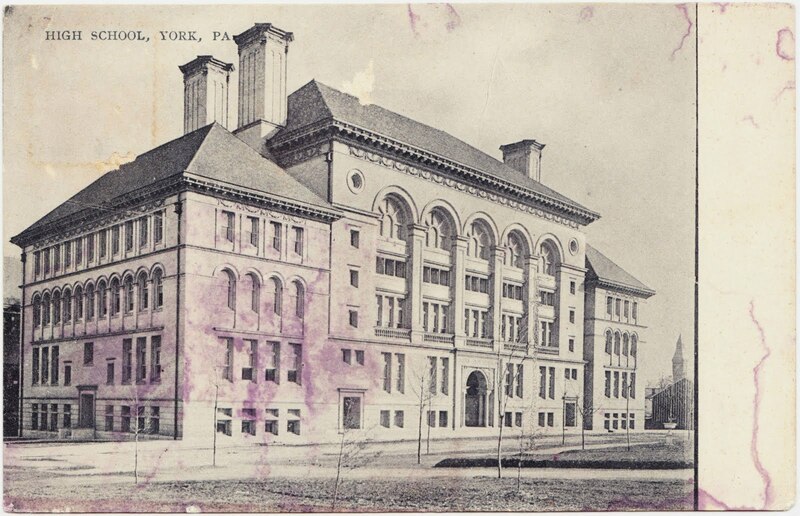 This old, water-stained postcard shows William Penn High School (fondly and unofficially known as York High) a century ago. The postcard was mailed to Miss Georgia B. Klinefelter of East Orange, New Jersey and was postmarked at 11 a.m. on May 4, 1911. "Dear friend, I rec'd the ribbon for my slippers, thank you ever so much for it, but why did you bother about it? I have used them several times and if this cool weather doesn't soon let up I can use them all summer. Lovingly, Susie." 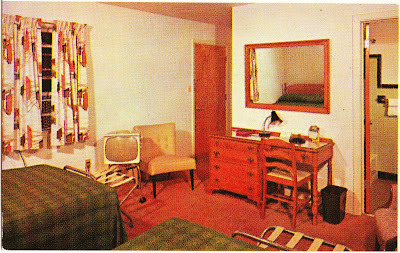 Finally, here's an undated card for Nittany Manor Motel in State College. One mile north of State College, Pa., on Route 322. Nature Color Card Published by Modern-Ad, Butler, Penna. The inset photo of the guest bedroom is worth magnifying, so we can check out the awesomeness of the motel's period decor. They are so nice. Thanks for sharing. I think we should make it a family plan to visit more of these, in addition to the ones we've already seen! I did a reverse phone lookup for (814) 237-7638 and without paying for more information, I found that the number appears to be around South Pugh Street and East College Avenue, leading me to conclude that the Nittany Manor is no more. This is a FAB round-up, Chris! Chris, your grandmother worked at Lankenau in Philadelphia and moved with it to this location in 1953. In this photo, I believe the house in the lower right corner may be the residence used by the nursing nuns. To the left, not in the picture, were the residence halls (and some classrooms?) of the School of Nursing. I think those dorms may now be converted to apartments. The main entrance of the hospital in the photo is still the main entrance today even though there have been many additions to the site. There was a great long high hill behind the buildings in the upper right corner where Mom used to take us sledding.